How I can remove Preview Mode banner? I don’t like to use email notification. How I remove this banner “Preview Mode: Email notifications have not been configured”? Hi @jpkorhonen, would you like to turn off email notifications for your entire server or just for yourself? In Account Settings > Notifications > Email Notifications you can disable email notifications for your personal account even if they are enabled for the server. 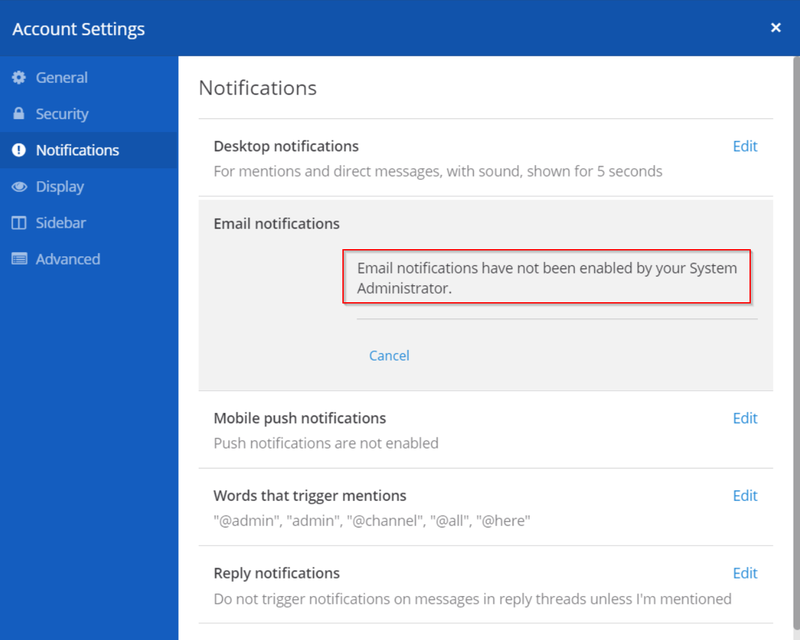 In order to remove the banner, email notifications have to be enabled for the server via the System Console > Notifications > Email.